Physical newsstand sales may be in decline but the digital newsstand has not figured out the rules of succession. Maybe before we do that let’s consider what we are referring to when we say ‘Digital Newsstand’. A digital newsstand is an online collection of published materials that exists as either a browser-based website experience or as a native app. Or in some cases both. It is the digital equivalent of a physical newsstand that you might pass in the grocery store or on a downtown sidewalk. If we acknowledge the introductory paragraph and admit that there is an absolute proliferation of methods for connectivity (PC’s, laptops, phones, tablets and every hybrid in between) there is great promise for the digital newsstand. So, what is preventing this from being the case? 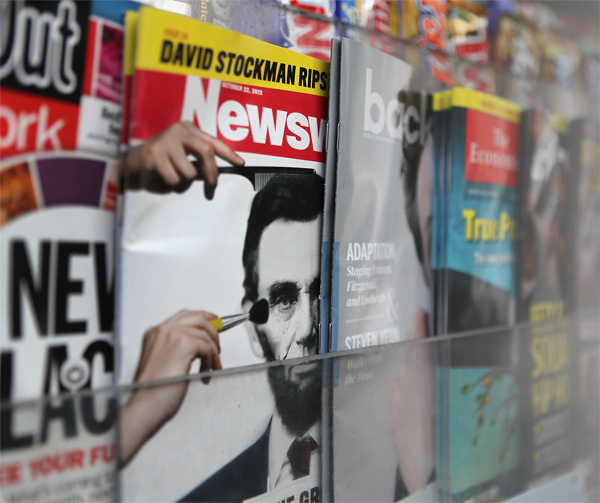 NextIssue is the Netflix of magazine consumption. Rightly or wrongly? When it comes to available digital newsstands there are an absolute plethora. For example there is the previously mentioned NextIssue, which was created by publishers Conde Nast, Hearst, Meredith, Rogers and Time Inc. It is a mobile-centric ‘Netflix’ type offering providing unlimited access to a hundred or so titles at a monthly fee. There is also Zinio which is a digital magazine hub offering a self-proclaimed 5,500 different titles. We would be remiss not to mention Apple’s Newsstand which is natively installed on iOS devices such as the iPhone and iPad. These are just a small sampling at the exposed peak of the glacier – many more lay below the surface. Without committing to a firm count there are undoubtedly two or three dozen more newsstands in existence. With so many options available how does a publisher (or reader, for that matter) determine where to invest their dollars?